Starting a new job is an exciting time, but it can also come with a level of stress and worry about what's ahead and if you'll perform up to the standards that are expected of you. Having a clear plan of action, training strategy, and knowing what your goals are in the new role will help shape your first few weeks on the job. 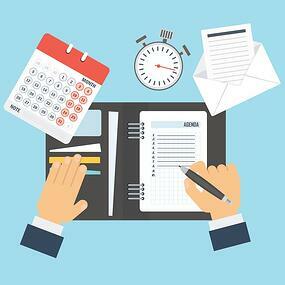 We put together some of our top resources on the blog for opticians to help you better plan out a few things to focus on the first 30 days as an optician. What would be your number one tip for someone new to the optician world? Starting any new job requires preparation and organization. There is going to be a lot of new things thrown at you and if you don't get off on the right foot, things can be sloppy from the beginning. And, as an optician you have a lot of small tools and gadgets for fitting people with the right frames. How do you like to stay organized at your dispensing station? We recently talked about 5 ideas for a more functional optician work zone. For many optical shops, online frame retailers have become big competition. A lot of times consumers will opt for cheaper, on trend frames that they can find at a more affordable price online versus in your shop. But, the value a patient gets from the expertise, knowledge, and quality of your eyecare practice far exceeds what a patient will get from an online vendor. Educating your patients on the value of their eyewear and the quality they receive from purchasing in your shop can go a long way. It's also important to educate patients on the different lens choices and why certain coatings and upgrades are important for their eye health. Another helpful education strategy for patients who are looking for a cheaper price point is to compare their frame and lens purchase to other every day expenses that most people don't bat an eye at. We created this infographic to help showcase some of these costs. Immersing yourself into the practice's processes and software systems right off the bat will help you gain experience and confidence in the office's workflow. Sticking to a strong training plan will help you become more comfortable with the systems and processes in place. 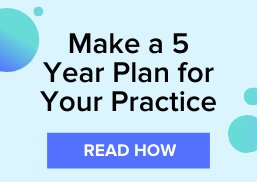 If the practice uses a practice management and EHR system, go through the training resources to understand how you can best use the system to most efficiencly perform your duties. If the practice isn't already placing their lens orders through VisionWeb, you should definitely get signed up. VisionWeb is a free online ordering platform for eyecare providers to use and connects you with over 400 labs to electronically send product orders all from one location, instead of visiting different websites or calling labs to get every order placed. With VisionWeb, you'll also be able to easily track your orders so patients can stay updated on when to expect their frames. For more tips download our 4 week guide to making bigger profits in your dispensary.